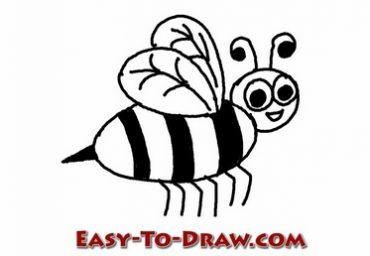 Here are the steps to draw Cartoon Honey Bee. Enjoy! 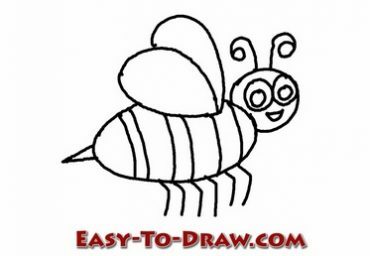 Step 1: Draw the two ovals to make the head and the body of the honey bee. 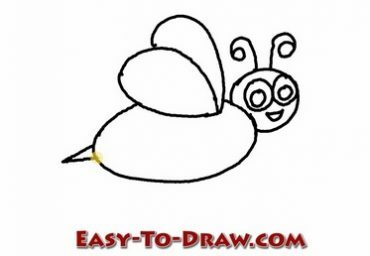 Step 2: Draw two wings of the honey bee. 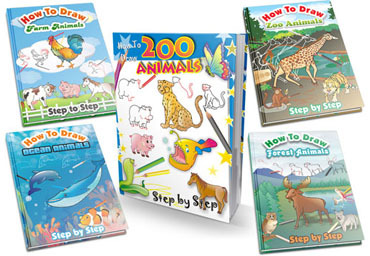 Step 3: Draw two eyes and one mouse on the face. 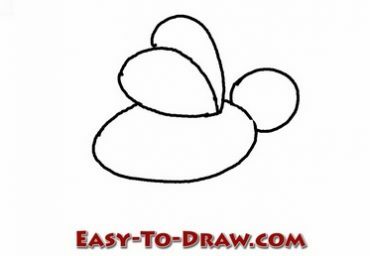 Step 4: Draw two tentacles on the head, and a tail on the bottom. 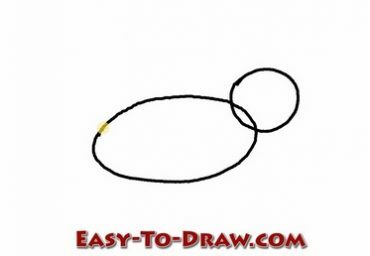 Step 5: Draw some stripes on the body and 6 feet under the body. Step 6: Color the eyes, tentacles, strips and the tail black. Draw some texture on the wings. Step 7: Color the face orange and the wings blue. 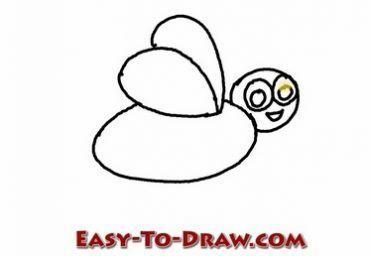 Step 8: Color the body yellow and the mouse red. Buzz if you like, but don’t sting me! Stinging all the cows upon the parson’s nose! Raising little lumps on the maiden’s knees. 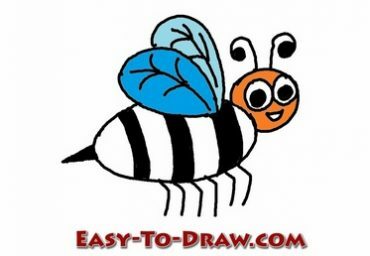 Honey Bee Video Drawing Tutorial for kids!